Together with internal teams and external consultants, Adina Ionescu developed creative campaigns across top multinationals, leaders in automotive, energy, or telecom, during the last 20 years. She is a strong advocate of integrated communications, has a digital mindset and a strong new consumer generation focus. She is well reputed within the civil society due to her involvement in societal issues, during her 4 years of active volunteering and mentoring young professionals. Adina’s profession and her key positions widened her exposure to different business environments such as automotive (Groupe Renault), oil & gas (MOL), networks and technologies (Alcatel-Lucent / Nokia), energy management (Legrand, Schneider Electric) or electronics, mobile phones and semiconductors (Samsung Corporation). Over the years, she built up her expertise in various professional areas: medium and long term integrated branding strategy, corporate social responsibility platforms and actions, reputation management, corporate & product communications, media relations management, corporate events, internal communications. She was the company spokesperson and crisis communications’ point of contact and she contributed to central authorities and professional authorities’ engagement. Among the most visible campaigns she managed: MOL – for people who demand more; Dacia 50th anniversary- Always in Romanians’ hearts. Adina majored in International Business Relations and in Marketing and Communications within Bucharest Academy of Economics. She graduated the London Chartered Institute of Public Relations in London and is a certified trainer. His professional achievements are linked with the creation and development of all the brands in Romaqua’s portfolio: Borsec, Giusto/Giusto Natura, Albacher, Dorfer, Aquatique, Stanceni. In addition, for the last 11 years, Adrian and his marketing team’s efforts have also been put into the development strategy of Borsec, a brand with a success story which goes back more than 200 years. His marketing team remained the same for more then 15 years. Anda Sebesi is the Deputy Editor in Chief at Business Review and she has about 20 years of professional experience in journalism. She has been working during this time with business publications like Biz magazine (as Deputy Editor in Chief) and Business Review – the largest English-language business news publication for local and international business community. 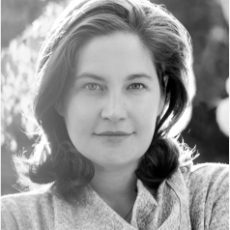 Also, she has been involved in different large editorial projects aimed to bring a significant added value for the local business environment. In addition, during this time, she has gained experience in PR and communication and corporate social responsibility (CSR) sectors. Thus, she was involved in different communication and social responsibility (SR) projects and programs for both multinational companies and large NGOs that are active on the Romanian market. She graduated the Faculty of Economics within Titu Maiorescu University back in 2002. 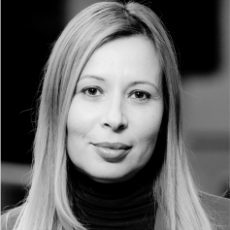 Andreea Florea is the Managing Partner of Brandtailors, one of the leading Romanian strategic brand consultancy and design agencies and the Founder of Sigla si Lozinca. Andreea joined Brandtailors in 2008 after graduating from the Faculty of Letters at the Bucharest University, at International Relations and European Studies and Social Communication and Public Relations specializations. The numerous brands she successfully shaped or reshaped (Arctic, Doncafe, Savana, LaDorna, Edenia, Agricola, Zuzu, Triac Holdings, Rom, Autovit), along with her commitment to a strategic approach on branding and business development have led to her being welcomed in the shareholders’ structure of Brandtailors, thus becoming the youngest partner in the branding and communication industry in Romania at the beginning of 2012. In 2014, Andreea and her team created Sigla și Lozinca – the first branding agency in Romania addressed to start-ups and SMEs and designed to make professional branding services available to small, but brave organizations. An educational endeavour more than a commercial approach, Sigla si Lozinca shares valuable knowledge and do-it-yourself tips with its fans and followers. 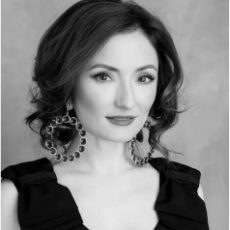 Camelia Şucu is a self-made serial entrepreneur, known to the Romanian public as a major player on the furniture and interior design markets. 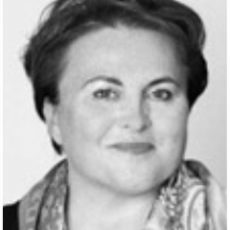 A co-founder in 1993 of Mobexpert, the largest Romanian furniture company, Ms. Şucu exited it in 2007 in order to devote herself to the high-end segment of the market and then to diversify her portfolio with new projects, based on three core values: beauty, harmony, wellbeing. ClassIN, her flagship company, is among the most important retailers of premium furniture in Romania, having exclusivity for such brands as Natuzzi Italia, Edra, Poliform, Porada and more. Trained as a medical doctor, Ms. Şucu is passionate about healthy food and sustainable development. Thus, her other businesses, Iconic Health and Abundia, are centered on the need to provide the public with access to healthy nutrition and on the need to sustain local farming and alternative food distribution, respectively. 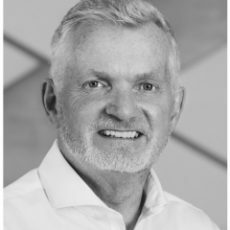 Colin Lovering has been living and working in Romania since 2009 when he initially arrived to offer consultancy and advice to organizations looking for growth and profitability. He is currently Senior Vice-President of Avison Young Commercial Real Estate, Romania as well as Vice-Chairman of the British Romanian Chamber of Commerce. He previously worked and lived in the UK, USA and France where he trained and coached literally hundreds of sales professionals and Managers across Europe, North America, The Far East and South Africa. Colin is also involved and committed to supporting disability and homelessness in Romania and actively speaks and helps in both areas. His other activities include being Senior Tutor with the Institute of Sales Management and an associate lecturer at the University of Bucharest. A father of two boys (Dan & Matthew) and a Grandfather to Freddie, Colin also enjoys watching football and rugby as well as playing a game of golf whenever possible. 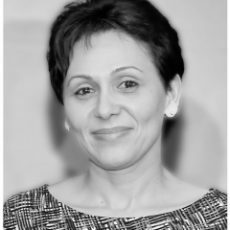 Corina Chirileasa is the founder of Romania-Insider.com, the most read English – language publication dedicated to Romania. A former business journalist, Corina is currently also the Managing Partner and one of the three shareholders of City Compass Media, which runs the flagship portal Romania-Insider.com, the Bucharest edition of LePetitJournal.com – the leading French – language media for Romania, the City Compass print & travel guide, the premium Romania Press Review service in English, and organizes the Romania Insider Awards events series. Corina is passionate about media trends, journalism ethics and sustainable living. She likes to develop projects and build processes and is keen on maintaining the editorial independence of the media organization she runs. Corina also enjoys countryside life and is a supporter of Romania rural development. 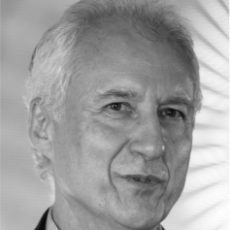 Corneliu Cojocaru is a reputed communication professional who gathered over 21 years of hard working and success in the PR field, following a successful career in economic and financial TV journalism. He is a dynamic speaker, inspiring audiences and proving an in-depth knowledge of both Public Relations and economics. Between years 2013 and 2018 he acted in the National Bank of Romania as Principal Expert / Counselor in the Communication Department and Spokesperson of the central bank (2016), following a 16 years long successful career (1997-2013) as Spokesman and Head of Communication in Banca Comerciala Romana, the leading Romanian commercial bank.. He was awarded as “PR Professional of The Year 2014” by Forum for International Communication, being proposed by Mrs.Catalina Rousseau, following many other awards granted for his performance, excellence and efficiency in PR and communication. He has being Chairman of the Communication Commission of the Romanian Banks Association (RBA / ARB) for almost 13 years (2000 – 2013). Blogger since 2007, with more than 13.000 blogposts and articles written since. He was warded with ”The best Romanian blogger” title for four years in a row, in the rankings of one of the most important business magazines, Revista Biz. He received more than 20 important awards in his 12 years of social media activities. As a partner in Kooperativa 2.0 – digital agency, he is the co-organizer of social media courses for companies, aimed at the practical conclusion of solving problems the company is confronted with. As a public figure, he is constantly invited to be on TV shows, covering all sorts of subjects, from social media to education or entrepreneurship. He reaches an audience of more than 100.000 people (subscribers, followers, fans, connections) through all the social media channels he is present on. 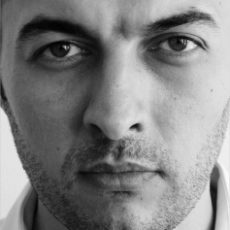 Cristian Pantazi is the editor in chief of G4Media.ro, an online publication (launched in March 2018). G4Media.ro is focused on hard news: politics, economy, analysis and investigative journalism. 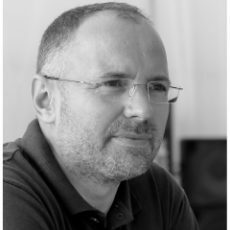 Previously, he was the editor in chief of HotNews.ro (leading online independent newspaper) for 14 years and a reporter in other national Romanian publications. Cristian Pantazi graduated from the Journalism Faculty (University of Bucharest in 1999). He also holds a Master Degree in Mass-Media Management from the same university. Now, he is guest teacher at the Journalism Faculty. In 2007, Mr. Pantazi was a trainee of the Economic and Political Reporting from South East Europe held by Reuters Foundation in London and Frankfurt. In 2017, he took part in Reuters Foundation’s Train the Trainers workshop in London. In 2017, Cristian Pantazi was the winner of the European Citizen’s Prize 2017, awarded by the European Parliament to individuals from every EU Member State. Daniel holds an MBA from Warwick Business School, and a BA (Hons) in History and Russian from Nottingham University. His journey started in London, UK. Working for the Russo- British Chamber of Commerce, he then moved to Moscow to take on the position of Commercial Manager Russia, before being appointed as Director, RBCC St Petersburg and North-West Russia in 2004. In 2005 Daniel moved to DHL as the Area Manager for St Petersburg, and then subsequently the West Russia area. In 2009, Daniel moved to the Emerging Markets Regional Office as a Finance Controller, based first in Brussels and then in Dubai, before being appointed Country Manager Qatar in 2010. He has been Managing Director for DHL Romania, based in Bucharest, since 2012. 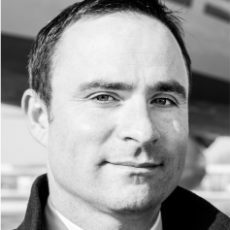 Daniel is Vice Chairman of the British Romanian Chamber of Commerce and Member of the Board of Directors; also he is a qualified facilitator of the DHL Certified International Specialist leadership programme. Outside of work, Daniel is a keen sportsman, having played semi-professional rugby in the UK, and he is a keen footballer, golfer and cricketer. Daniel has contributed to a book on the history of Russia, and last year published his first children’s book Maya the Mouse. His second book, Sophia the Starfish, will be published this Spring. Both Maya and Sophia are charity projects, raising money for disadvantaged children of North-East Romania. From August 2017 I am the new editor in chief of CARIERE magazine, a monthly publication dedicated to leadership, with an experience of over 15 years on the Romanian market. CARIERE magazine is a longevive and consistent brand dedicated to the entrepreneurial and leadership culture in Romania. So I moved on from the business of story to the story of business, after 20 years of being Editor in Chief of Avantaje, a magazine dedicated to women. One of the main targets is to promote and support good practices in Romanian leadership, entrepreneurship and management. I love to write inspirational stories, in-depth analysis and interviews and encourage a positive attitude towards all the challenges of entrepreneurship and leadership in Romania. They become models for other readers, thus empowering them with a lot of inspiration, motivation and confidence. The inspirational stories in the magazine become points of reference in the field of professional and personal development. In order to promote the power of leadership, we organize Gala Premiilor Revistei CARIERE, one of the the most influential events on leadership and social responsibility issues in Romania. Ecaterina Safarica started her career as research fellow in Sensors and lecturer on Biosensors at the University of Bucharest. She joined the P&G team in 1994, being among the first employees of the Company in Romania. In 25 years in P&G, Ecaterina covered several regions, she led hundreds of PR and Influencers programs and developed a vast team of Communications specialists. Her experience and passion for communication, allowed her to initiate many regional brand communications campaigns as well as P&G Company Communications. Ecaterina was also involved in several national and european industry associations, representing the company in task forces engaged in communitary acquis adoption,in areas relevant to the fast moving consumers goods producers and distributors and she has been for 5 year the President of the Romanian Advertising Council. 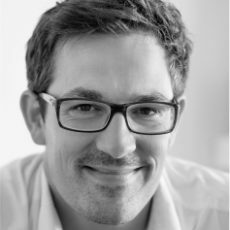 A trained linguist and journalist, Gabriel Pâslaru has a vast experience as a communicator. 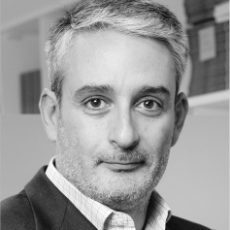 He worked as a redactor for Romania’s news agency Agerpres, then and as an Associated Press staff writer before founding, in 1992, Romania’s first PR consultancy – PERFECT Ltd.Co (www.perfect.ro), a company he continues to own and run. 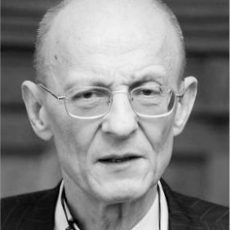 In 1995 he was one of the founding members of the Romanian PR Association – www.arrp.eu and he currently serves as the President of this organization. In 2017, ARRP joined the International Communications Consultancy Organization – ICCO, and Mr. Pâslaru became a member of the Board of Management (https://iccopr.com/board-of-management/) of this prestigious professional group that represents some 3000 PR firms from 66 countries around the globe. Liliana Stanculet is B2B Marketing Manager for OMV Petrom – the largest integrated oil and gas group in Southeastern Europe. She joined OMV Petrom team in 1997 and starting from 2017, she has held the position of B2B Marketing Manager. 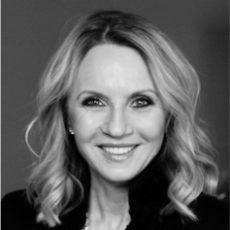 She is responsible for defining the marketing strategic directions for East Region (Romania, Bulgaria and Serbia), for both Cards and Sales East streams, including plans, projects and initiatives that drive revenue growth. Her sharp strategic mind and her extensive experience within a high profile brand and sales environment (with an emphasis on service, value and quality), helped Liliana succeed in strengthening OMV Petrom’s presence on the Romanian market”. 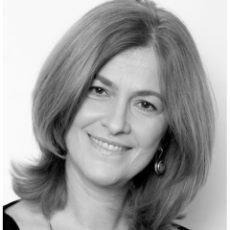 For almost 15 years now, Manuela has been running, as CEO, the operations of Ogilvy Romania, part of WPP Group, one of the largest communication Group worldwide. 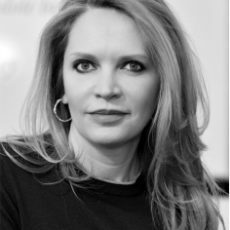 Since 2012, she is also the CEO of Hogarth WW Romania, World’s leading marketing production services company, also owned by WPP Group. Hogarth WW Romania is offering highest standard services to both regional and global clients. Manuela turned around Ogilvy Romania by building a solid team and by launching innovative practices as a premiere on the local market. The work developed for Ogilvy’s clients contributed to the growth of their businesses and was recognized and awarded in numerous local and top international industry festivals (EFFIE, Cannes, London International Awards, Clio, D&AD, Internetics, PR Award, etc). Actively engaged in the marketing and communications industry, with more than 20 years of experience, Manuela Necula is one of the pioneers who set up EFFIE Festival in Romania and a founder member of the WWF Corporate Club. She was also a member of the IAA Board of Directors. Mircea Kivu graduated Sociology at the University of Bucharest (1978) and has a MA in Demography and Social Sciences at Ecole des Hautes Etudes en Sciences Sociales – Paris (1991). 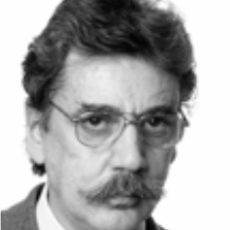 He is known as the author of several books and papers in sociology, with expertise in public opinion polling. He is involved in civil society activity as President of the Group for Participative Democracy – Plenum and as a columnist at Romania Libera and Dilema Veche. Mirela Boşoi has been working for Orange Romania since 2002 and she has been the Head of Brand and Communication since 2009. Mirela Boşoi has over 20 years experience in all fields of advertising, branding, events and Public Relations, working for well- known multinational and local brands. 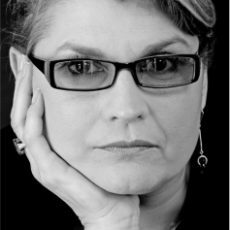 Paula Herlo is a Senior Correspondent and Producer for „România, te iubesc!” („Romania, I Love You!”) News Magazine, that delivers every Sunday oustanding journalistic investigations on critical issues of Romanian society. Paula Herlo has been working with Pro TV News since 1998, and has constantly built a highly regarded proffessional profile. Her devotion in reporting and designing the News Campaign, Any Idea What Your Kid Is Doing Right Now? would bring Pro TV News the much-coveted International Emmy Award for Outstanding News, in New York, in 2008. She kept coordinating social campaigns for News: There’s Life In Our Blood and I Want Parents, Too led to establishing the National Unrelated Donors’ Registry and modifying the Adoption Act, respectively; Be Healthy, Romania!, described the National Health System’s own diseases, and the 2014 Any Idea What Your Parents Are Doing Right Now? pictured – for the first time – the life of the lonely elderly. 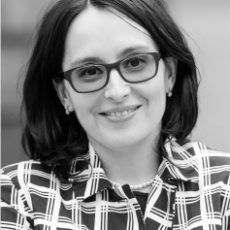 Ruxandra Băndilă joined Deloitte Romania in 2019 as Marketing and Business Development Director. With an impressive career path, taking her through various fields, from project management, marketing and business development, to strategy and operations in different industries, Ruxandra rejoins now the professional services sector. Prior to joining Deloitte Romania, Ruxandra worked for CRH Romania, which acquired Lafarge Romania, as Chief Operating Officer. Before that, she was a Strategy and Business Development Director for Lafarge Romania for more than two years. Between 2007 and 2013, Ruxandra coordinated the Marketing and Business Development department of PwC. Her professional experience also covers positions such as Executive Director for the Foreign Investors Council, where she contributed to increasing the profile of the organization and solving business environment issues. Formerly she was Head of the Socio-Economic Department of the United Nations Development Programme (UNDP). Ruxandra holds a PhD in Energetics from Ecole des Mines in Paris. She is also a member of the European Association of Communications Directors and member of the board of the National Centre for Sustainable Development. A passionate communicator fueled by extensive experience and a valuable insight provided by an MD degree. 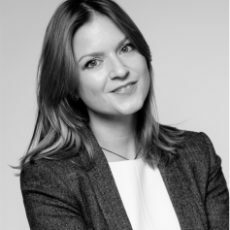 For the past 10 years Ruxandra held various positions in major Pharmaceutical and FMCG companies like Abbott, AstraZeneca and Procter & Gamble. She graduated the Faculty of Stomatology back in 2004, but her passions determined her to go in another direction. 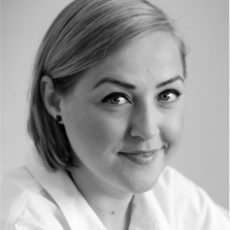 After 4 years of working as a medical representative, she joined P&G as External Relations Manager Balkans, initially in charge with the Oral Care division, to later round up her responsibilities with Professional Relations and Beauty Brand Communications. Skillfully mixing creativity and customer centricity with a bold vision and meaningful goals, Ruxandra now develops Bayer’s corporate communication and branding strategy along with major CSR projects focused on education, health and social needs. Outside business hours, it’s the love for art, culture and her beautiful family that make her world go round. Sotiris is the Executive Vice President of CEO Clubs in Bucharest and the founder of CEO Clubs Transylvania and Next Gen Int’l. Under his leadership, these Clubs are among the biggest and most important business Clubs in the country, having as members the leaders of some of the largest companies in Romania and in the SEE region. Previously he had been the GM of the CEO Clubs in Greece, that being the first Club ever to be launched in Europe. He has also held various executive positions in banking, technology and FMCG market heading major projects in Greece and abroad. 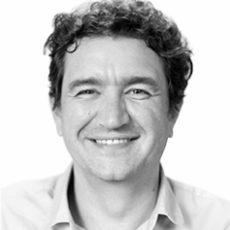 In parallel, Sotiris is also the founder and Managing Partner of SARGIA Partners – Romania, pursuing his goal to positively influence leadership on a large scale. He is a certified Master Coach by the Center for Advanced Coaching (CAC) in the USA. He is also a Partner at First Southeast Investment Partners, an M&A advisory and merchant bank. His passion is connecting people with ideas and building communities. He holds a bachelor’s degree in Management & Organizational Behavior and 2 Master’s (International Marketing & an MBA) degrees. He has published many articles in various newspapers, The Economist Intelligent Life and digital media. 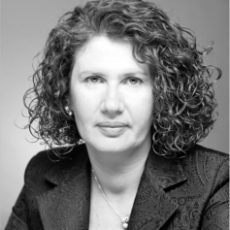 Since 1997 Stefania Popp is the CEO of Junior Achievement Romania®. Between 2006 and 2009 she served too as Director of Program Development at JA-YE, Europe and Director of International Programs at Junior Achievement Worldwide, USA. 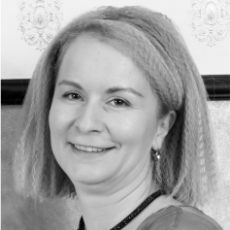 She serves as expert for Ministry of Education in Romania and UE programs and CSR consultant for major companies in Romania. 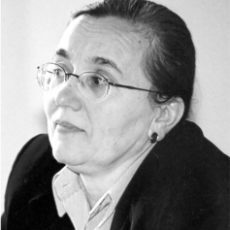 After graduating in 1980 with an MA in Nuclear Physics from the University of Bucharest, she was Senior Researcher at the Institute for Nuclear Reactors in Bucharest for 10 years ( till 1989). Starting 1990, Stefania participated in several post-graduate programs on Education Management, Business Administration and an Executive Program at the Harvard Kennedy School. Stefania Popp was awarded with Platinum Achievement Award (JAW- 2003 Atlanta, USA) and the Lifetime Achievement Award (JAW-2008 Miami, USA). Teodora is responsible for developing the brand communication strategy and plans in the 3 countries in which Fashion Days is market leader in online fashion: Romania, Bulgaria, and Hungary. Teodora Şaguna has over 12 years of experience in industries like banking and telecom, in retail communication, loyalty programs and integrated marketing and brand communication. She joined Fashion Days group in August 2016 after 10 years experience in the banking industry. Previously she has managed the Retail Marketing and Communication strategy for Bancpost & Eurobank group entities in Romania while her career in banking started with Raiffeisen Bank in the position of Brand Manager being responsible for retail marketing & communication integrated projects. Teodora Şaguna has a Master Degree in Communication and Public Relations at David Ogilvy University (SNSPA) and a certification as Chartered Marketer at the Chartered Institute of Marketing, Oxford, UK. Virginia Otel is a senior executive with more then 20 years experience in the financial sector in Romania, gaining expertise in general management, business development, marketing, corporate communication, human resource management in various financial institutions, such as venture capital fund, securities trading & investment banking, banking, and leasing. She has served in management boards and board of directors of financial institutions she worked for. She has participated in many national and international conferences and seminars as speaker and panelist. The professional course of Ms. Otel included Unicredit Bank Romania, Demir Securities Romania, and Romanian-American Enterprise Fund. In 1994, she was visiting faculty member at Hamline University in St. Paul, Minnesota, USA. Virginia graduated from the Academy of Economic Studies in Bucharest with a Bachelor degree in Economic Cybernetics. She earned a Master’s degree in Management and Public Administration from Liverpool University, UK, in 1993. 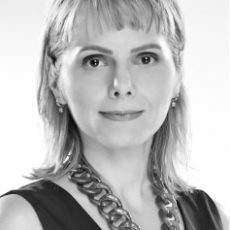 Ms. Otel also graduated the Executive MBA with the Romanian-American Postgraduate School of Business in cooperation with the University of Washington, USA, in 1999. Virginia has dedicated her energy, efforts, and time to community development. She is the President of the Professional Women’s Network Romania and Co-Leader of “Mentoria” project developed by the Romanian Business Leaders Foundation, dedicated to business mentoring of young entrepreneurs. – City Compass Intercultural Consulting, which provides consulting and training services and support in adapting to Romania for expats and repats, covering (virtual) leadership, business communication and etiquette, Romanian business mentality, cultural insights and family adaptation in a practical and customized way. =Romania-Insider.com: market leader in English news about Romania, online and with daily bulletins. =A daily and weekly executive press review for foreign top management, as a business intelligence tool for the Romanian market, at RomaniaPressReview.com. =The annual City Compass: Romania, Bucharest & Beyond printed guide, also available as an e-book at RomaniaBucharestBeyond.com. – Romania Insider Awards – a new series of exclusive events, with the second edition to start in early 2019, and Gala due for October 2019, celebrating #PositiveRomania and the Romanian companies & projects that share the values driving us at Romania-Insider.com for the last 9 years: positive impact to business & society, sustainability, fairness, business ethics, and promoting Romania abroad.